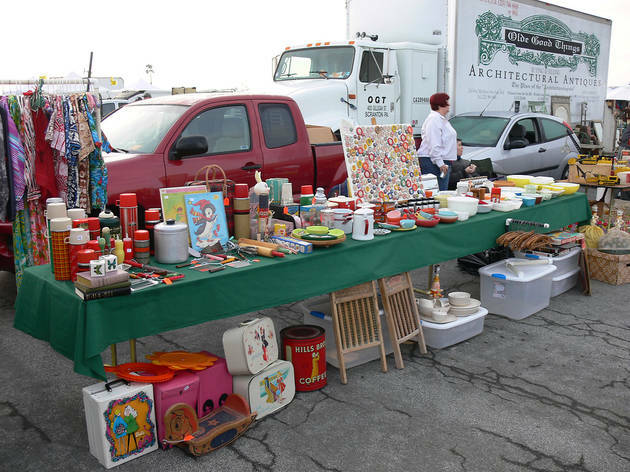 Sellers and regulars start arriving at this market—better known as the Alameda Flea—in the predawn hours, headlamps glinting across the parking lot. By 6am, the former naval base is flooded with vintage lovers from throughout the Bay Area in search of one-of-a-kind merch. (Note: the earlier you arrive, the steeper the entrance fee; it drops after 9am.) With over 800 participating vendors, the assortment of furniture, clothing, media, art, instruments, dishware and decor is endless. 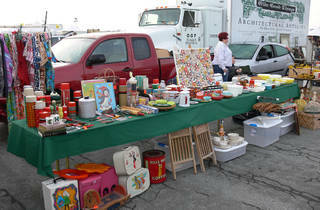 But unlike some of the anything-goes swap meets in the South Bay, this is the real deal. Every item here is required to be at least 20 years old, meaning you’ll find less of the dollar-bin variety and more mid-century rarities. It’s particularly well stocked when it comes to furniture and decor, including the occasional find from icons like Eames and George Nelson.